Soon after Gary Blair became the head women's basketball coach at Texas A&M, he reached out to the George H. W. Bush Presidential Library Foundation with a unique request. He wanted to inquire if former President George H. W. Bush and former first lady Barbara Bush would be willing to speak to his team at an upcoming practice. Penrod "Rod" Thornton '63, the Foundation's deputy director at the time, answered the call and made the arrangements. That practice turned out to be one of many the Bushes would attend with Rod over the coming years. The 41st president and his wife became big fans of Blair and his program. "They're very perceptive of how people are treated," said Rod, who worked for former President Bush. "They noticed how Gary and his staff were very concerned about what the girls learned and how they were developed." Rod also discovered something special in Coach Blair that day. "I really appreciate the kind of coach he is," Rod said. "He develops student-athletes' entire lives – not just their athletic lives." 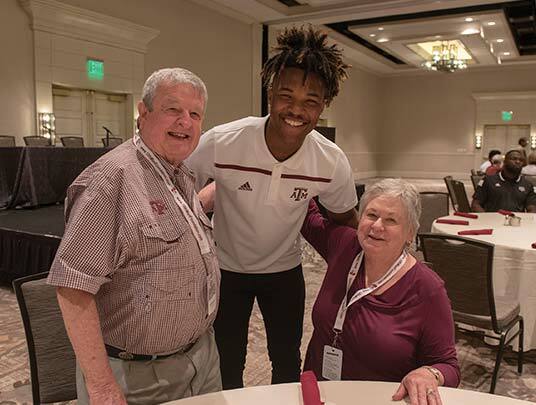 Rod and his wife, Ellen, developed a friendship with Blair and have become dedicated supporters of Aggie women's basketball. Rod always seemed destined to be an Aggie. The Corpus Christi native had an opportunity to attend the Air Force Academy after high school, but ultimately decided to follow in the footsteps of his Aggie father and grandfather, classes of '39 and '15. "I didn't want to put all my eggs in one basket to be a military officer and a pilot," he said. "Texas A&M afforded me an opportunity to have more options." After earning a bachelor's in business administration from A&M in 1963, Rod was commissioned into the Air Force where he served for 20 years. He received a Bronze Star Medal for his service during the Vietnam War. "He won't tell you," Ellen said, "but he's a hero." Rod continued his career in public service working for the Central Intelligence Agency in clandestine services where he gathered information, trained officers and briefed former President Bush while he was in office. Ellen, a Florida State University graduate, met Rod in Washington D.C. She heard a lot about A&M while living there, but did not become fully indoctrinated until Rod took her to her first Aggie football game at Penn State in 1979. A&M upset the 6th-ranked Nittany Lions, 27-14, behind Curtis Dickey's running attack and an outstanding Aggie defense led by All-American and current 12th Man Foundation Major Gifts fundraiser Jacob Green. In 1984, the Thorntons moved to Houston and started going to Aggie football games and MSC OPAS events in College Station. Their oldest son, John '88, was attending A&M at the time. Tragically, John was killed in an automobile accident while he was a student. Like his father, John was in the Texas A&M Corps of Cadets. He was also a very active member of the OPAS Student Committee. Following John's death, Ellen and Rod established the Memorial Student Center Endowment for the Performing Arts in his memory. The scholarship is awarded to a first-year OPAS Student Committee member to cover the expenses required for participation. 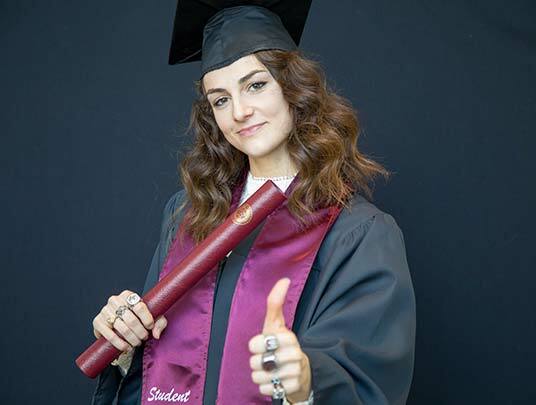 "We learned that a lot of Aggies who wanted to serve on the committee were required to have black dresses for the girls and suits for the guys," Ellen said. Their youngest son, Doug '92, was active on the OPAS committee as well. Also a member of the Corps, Doug earned three degrees from A&M, completing his PhD in Political Science in 1998. He's currently assistant department head in A&M's Political Science department and has a 9-year-old son. "He's just getting to the point where he really likes football," Rod said of his grandson. "We are still trying to develop his interest in basketball." In 2001, Rod answered the call to move to College Station and work for the Bush Foundation, a position he held until retiring in 2008. And although Ellen retired from a 30-year career in education as a teacher and school administrator when they moved, she worked part-time for six years as an instructor at the Student Learning Center at A&M. "When Rod received the offer to come here, I thought I was going to be an Aggie Athletics widow," Ellen said. "I had never really gone to a basketball game, and now I'm a screaming supporter. I don't miss a game. I love the spirit." Besides attending events, the Thorntons have stayed busy in retirement volunteering for local non-profit organizations including OPAS, Brazos Valley Symphony and the Brazos Valley Museum of Natural History. Rod and Ellen also serve on the Development Council of the College of Education and Human Development. And when Coach Blair needed a new leader for Blair's Buddies, a group dedicated to supporting the Aggie women's basketball program, he called on his friend Rod. "Ellen and Rod are special Aggies who exemplify selfless service," Blair said. "They are out in the forefront, making sure they are helping our program. I really appreciate them and their service to A&M and our country." As supporters of the women's basketball program, the Thorntons have enjoyed watching the student-athletes grow and develop from freshmen to graduating seniors. "It's been wonderful for us to get to know the life of a student-athlete," Ellen said. "They have a tough schedule. We've been on several trips with them and their day is completely full of film, study hall, practice and shootarounds. It's been so enriching to get to know them and learn what their goals and dreams are." In addition to their support of women's basketball, the Thorntons have contributed to various scholarship programs within athletics and the university. 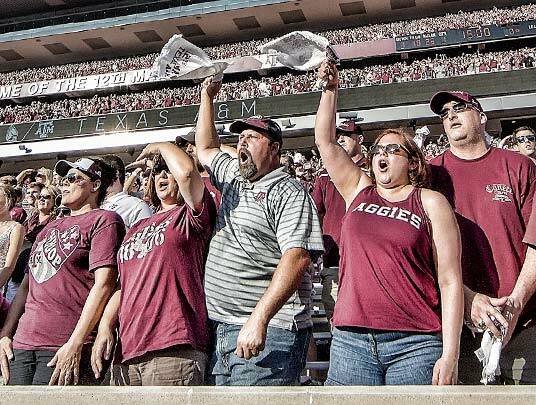 They have made a tremendous impact on the 12th Man Foundation and A&M Athletics as season ticket holders and with generous contributions to facility projects. 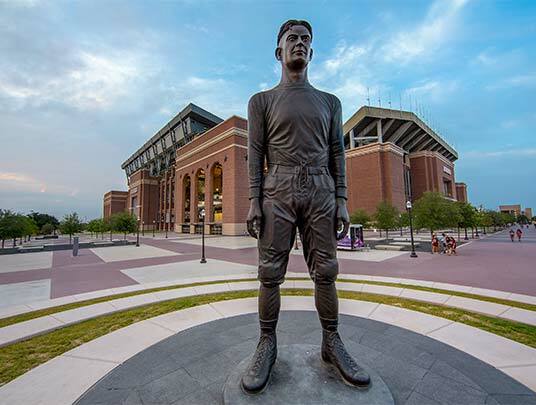 "With the help of the 12th Man, A&M has done a great job of having some of the finest athletic facilities in the world that all of us can be proud of," Rod said. "It's a top tier university without question in many respects. And certainly, athletic facilities need to shadow that and show that they are top tier. We believe in that. That's why we contribute." Ellen and Rod have done their part and more with gifts for the Cox-McFerrin Center for Aggie Basketball, the R.C. Slocum Nutrition Center and Davis Diamond. Now they have stepped up and answered the call again in support of a new project – the redevelopment of the women's basketball student-athlete center. "We believe that Gary has brought excellence to our women's basketball program," Rod said. "He has developed a class program and we are very fortunate to have that. To keep a class program, you need a facility that reflects your commitment to excellence. To make sure that happens, all of us have to step up and do our part. Every contribution counts." The current facility within the Cox-McFerrin Center is 10 years old and one of the key highlights of a student-athlete's tenure at A&M. "What you have in technology and nutrition now is nothing like it was 10 years ago," Rod said. "The student-athletes spend an awful lot of time in those facilities. It's very important for them to have a place where they can take care of their academics and learn basketball while building camaraderie with each other." Rod stresses that the facility is also critical for Blair and his staff from a recruiting standpoint. "Gary has built a successful program that attracts top recruits," he said. "If you don't have something that matches the other programs, you're a step behind. 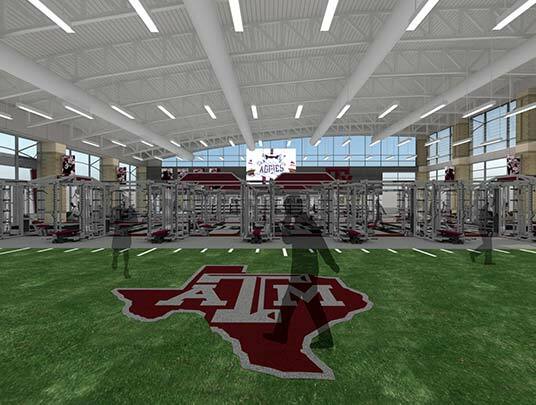 We believe that A&M coaches should be able to tell recruits that they're going to have the best facilities in the country no matter what you do." 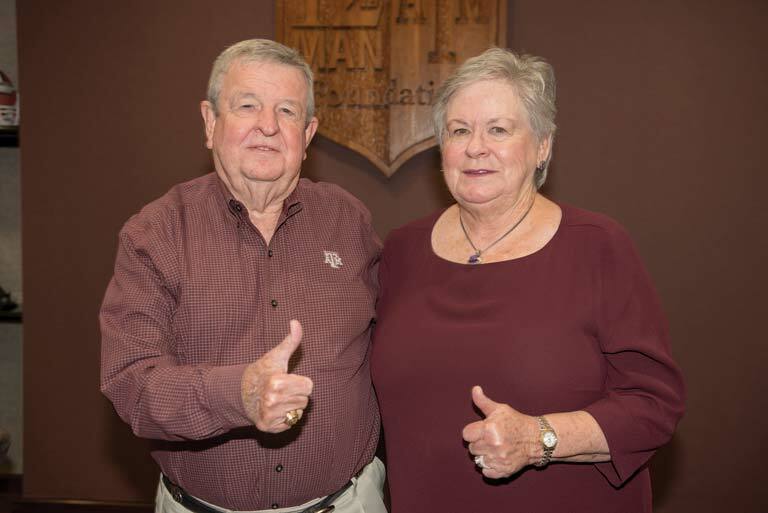 Ellen and Rod have continued to answer the call with their commitment to A&M and hope others will join them in support of the women's basketball student-athlete center project. "With the help of the 12th Man, A&M has done a great job of having some of the finest athletic facilities in the world that all of us can be proud of. It's a top tier university without question in many respects. And certainly, athletic facilities need to shadow that and show that they are top tier. We believe in that. That's why we contribute." Ellen and Rod Thornton '63 have made a tremendous impact on Texas A&M Athletics with their generosity and are now helping lead the charge to redevelop the Aggie women's basketball student-athlete center. Join Ellen and Rod in supporting this vital project for women's basketball.